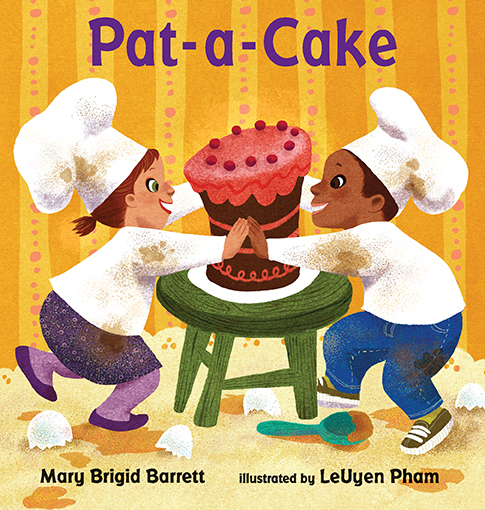 "Pat-a-Cake and All Fall Down by Mary Brigid Barrett, illustrated by LeUyen Pham, are two jolly board books that transform a duo of old-fashioned nursery rhymes into contemporary language and situations that little ones will relate to, with peals of laughter." Celia McGee, book reviewer, New York Times reporter. If you can pat a cake, why not a peach or a cold and bumpy pickle? How about a fuzzy caterpillar crawling on your knee? A well-known rhyme expands into a tactile exploration of a toddlers' world. LeUyen Pham's adorable, vibrant illustrations bring Mary Brigid Barrett's singsong text to life in a board book for the very young. The pink slippers on the wall catch her eye. 'Those are the most beautiful shoes I've seen in all my life.' Down at the corner of Magnolia and Vine, you'll find the shop of Shoebox Sam--where old shoes become like new again and anyone in need finds a friend. 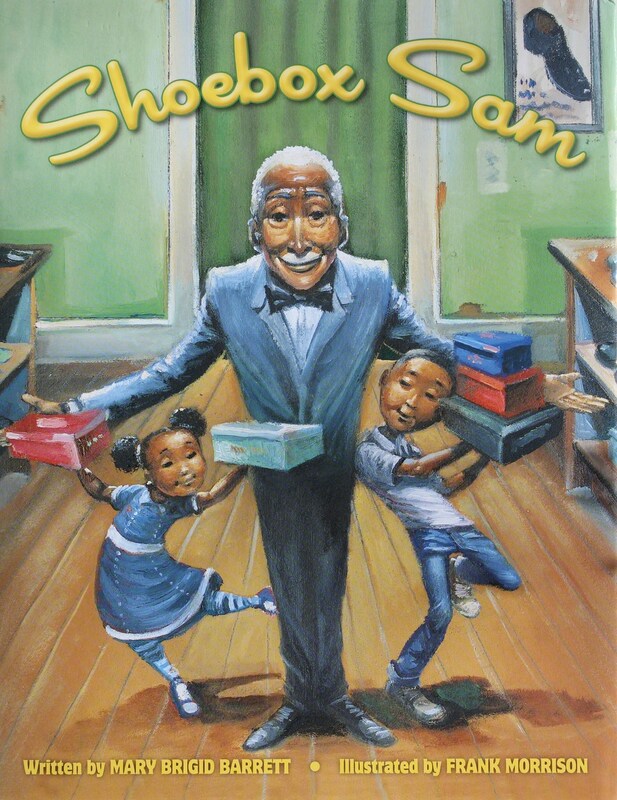 Delia and Jessie spend Saturdays with Shoebox Sam, helping him with customers, rich and poor. They learn about giving and caring, loving and sharing. Then one day, when a customer notices a prized pair of shoes, they uncover their greatest lesson of all. Ask for ALL FALL DOWN, PAT-A-CAKE, and SHOEBOX SAM, at your neighborhood library or bookstore! From a bright tower made of blocks to a boisterous family playing a game of Ring Around the Rosie, there are many ways to join things together—and watch them tumble in a delightful heap! All Fall Down: Starred Review in Publishers Weekly! "One might reasonably expect this board book from Barrett and Pham to riff on “Ring Around the Rosie.” But while a scene featuring that game closes out the book, Barrett celebrates lightly destructive fun of all kinds, whether it involves toy blocks, sticks and stones, or dinner: “Spoon potatoes in a mound,/ plopping green peas all around./ Plunk spoon and cup atop the plate./ Daddy reaches out—too late!/ All fall down!” Working in gouache, Pham offers a multicultural crew of kids who couldn’t be more excited about building things up and then sending them flying. "Mary Brigid Barrett's words, for Sam and for the children, zip along with a light rhythm. Sam is the neighborhood shoe repair guy (aka, "cobbler" to the pre-sneaker generation). Young Delia and Jessie help him in his shop on Saturday and are rewarded with cinnamon crullers and a feeling of being at the center of neighborhood life. Mary Brigid Barrett's words, for Sam and for the children, zip along with a light rhythm and insights on matters large and small ("new shoes walk tight, but old shoes walk light"). Sam treats all his customers kindly. The dignity he accords to people whom others might label "homeless" is clear, without any preaching about it. Frank Morrison's sumptuous illustrations bring generosity to life."